Protect yourself against homeowners insurance policy cancellation. Low-Pressure Roof Cleaning service to avoid damages. Safe Chemical Roof Cleaning to remove mold & mildew. 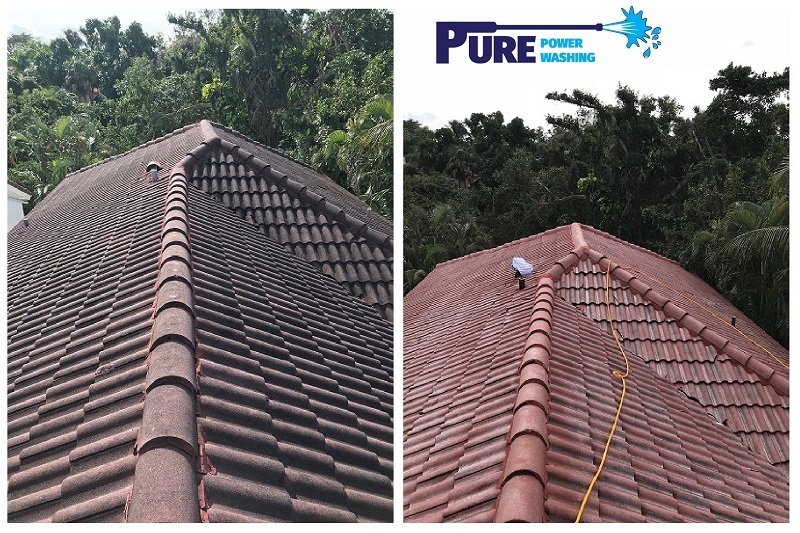 For years, Pure Power Washing has offered roof cleaning services throughout Palm Beach County, FL. We have experienced staff to provide efficient and fast roof cleaning and maintenance services. We can keep your roof well-maintained within your budget. Say goodbye to algae, grime and dirt on your roof after hiring our licensed experts. Backed by 10 years of experience in the cleaning industry, you can rely on our experts for safe & efficient cleaning. For your convenience, the maintenance and roof cleaning services are available on a quarterly, monthly and annual basis. Our maintenance jobs last longer than others. Some of our special procedures include low-pressure chemical roof cleaning and low-pressure water cleaning. Our experts use the best possible method to make your roof look new again, regardless of the size of your roof. We use specialized green cleaning solution for fiberglass and asphalt shingles. Our roof shampoos are free from dangerous phosphates or chlorine bleach. These cleaning solutions and methods are safe and efficient to clean ugly stains of your roof. Our experts have specific solutions and techniques to remove black streaks and green moss from the ceiling. Algae, moss and lichen colonies are the main reason of stains on your roof. These are living organisms; therefore, your roof requires regular maintenance. Before considering a premature re-roofing, contact us and make your ugly roof look new again. 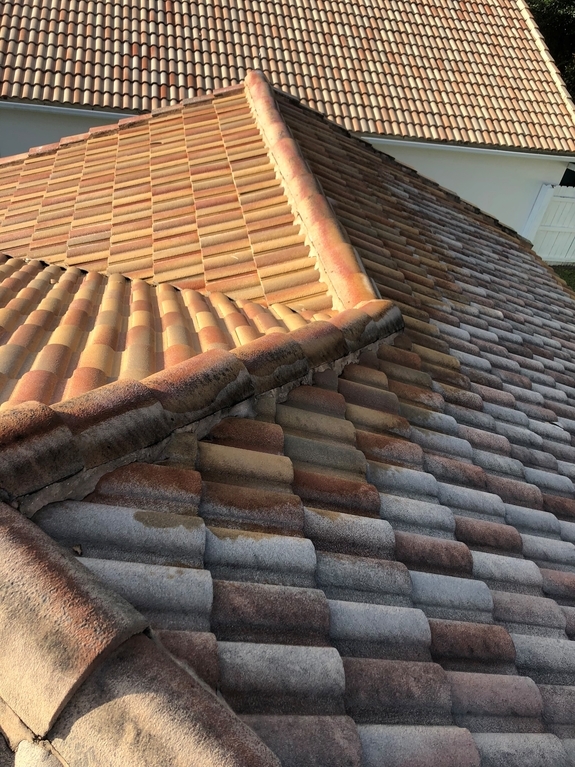 Our professionals are trained and have the hi-tech equipment to deliver gentle and soft low-pressure water wash.
We have the most experienced team to provide superior roof cleaning services. They will clean your building exterior and driveways. Regardless of the size of the job, we deliver the best possible services. If you are in need of our roof cleaning services, just give us a call and get your free quotes. We at Pure Power Washing look forward to earning your business and adding you to our growing list of satisfied customers! Why Choose Pure Power Washing For Roof Cleaning? Your roof will stay cleaner, for longer. Guaranteed. No roof damage! It’s all in the process.